Nursing homes provide care and treatment for those individuals who are unable to do the same for themselves, as well as to take this burden off of family members who may otherwise be unable to provide the care the loved one needs. While it may be a difficult choice, leaving an elderly member of a family in the care of a nursing home, is sometimes the best option. When a family decides to place a member in a nursing home, it is usually because they have determined that the nursing home is best able to provide the care the family member needs. In many cases, the family’s mind is at ease that the nursing home will act with utmost care and respect for the family member. However, this does not always happen, and obtaining the services of an attorney experienced in nursing home abuse may be required to ensure that the family member is not suffering. A particular form of nursing home abuse, nursing home neglect, unfortunately took the life of a Bella Glades woman, who was left unattended outside in her West Palm Beach nursing home for an extended period of time, causing her to suffer heat stroke, severe dehydration and second-degree burns on her shoulders, arms, and mouth on a 100+ degree day. An introduction of nursing home neglect, and signs to look for such neglect, will follow below. Leaving residents unattended or abandoned. It is this last example that, unfortunately, is the most prevalent with regard to nursing home negligence. 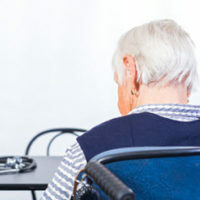 While, in some cases, nursing home negligence can rise to the level of abuse – which implies a specific intent to harm the patient – nursing home neglect is an inadequate level of care that results in harm to the patient. Poor personal hygiene. Nursing home staff are expected to aid in basic personal hygiene of their patients, since many patients cannot do this on their own. If there is neglect, an initial sign may be poor hygiene, such as unbrushed teeth, unclipped nails, uncombed hair, unkempt clothes, and the like. Unsanitary living conditions. Pursuant to federal law, nursing homes are required to provide residents with safe and clean living conditions. Additionally, many state laws add to these requirements. The failure to provide such conditions may be an indicator of neglect. Lack of nutrition. Neglect in ensuring a proper diet for a nursing home’s patients may lead to issues like malnutrition and dehydration. Loss of mobility. As part of their care, nursing home staff will try to ensure that patients are as active as possible, and the loss of mobility function may indicate neglect. Unexplained injuries. Neglect can lead patients to attempt to do things on their own, which may lead to falling and injuries, or alternatively indicate unnecessary force was used by staff to restrain a resident. Psychological issues. In addition to the physical, patients may suffer psychologically, and try to distance themselves from family. If you, or a loved one, suffered at the hands of a nursing home, whether it be abuse or neglect, contact the attorneys at Pita Weber Del Prado as soon as possible. We have experience in dealing with these types of injuries, and will work with you to get you the compensation you deserve. Contact our Miami office today for an initial consultation.